Documents released by the U.S. Food and Drug Administration say genetically modified salmon being reared on P.E.I. is safe, to the concern of groups on both sides of the border. Documents released by the U.S. Food and Drug Administration say genetically modified salmon being reared on P.E.I. is safe, provoking some alarm on both sides of the border. If the salmon, raised by Aqua Bounty Technologies, is approved for consumers, it would be the first genetically modified food animal on the market. Aqua Bounty Technologies started its quest to have its fast-growing salmon approved by the FDA 15 years ago. The fish has been genetically modified to grow twice as fast as other Atlantic salmon. FDA documents just released say the fish is as safe to eat as other Atlantic salmon, with similar vitamins, minerals and fatty acids. That news drew a reaction from an international coalition of groups opposed to genetically modified food. 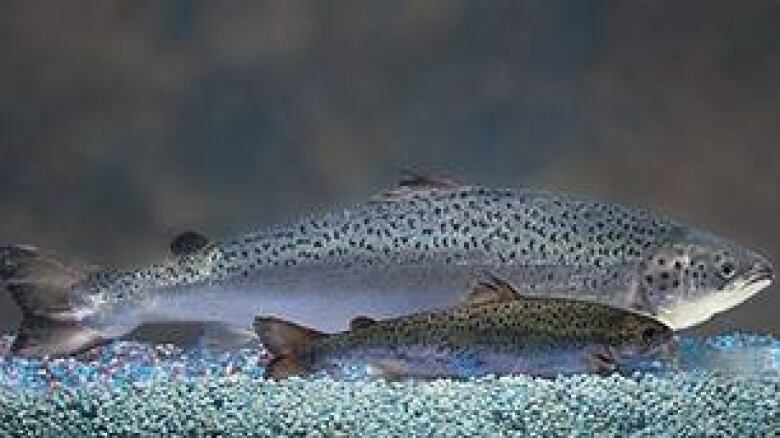 "The United States could be approving a genetically engineered fish with really inadequate data, and … this opens the door to other genetically engineered animals," said Lucy Sharratt, head of the Canadian Biotechnology Action Network, a coalition partner. Jaydee Hanson, policy analyst for the U.S.-based Center for Food Safety, took issue with plans by Aqua Bounty, which has its corporate headquarters in Waltham, Mass., to produce fish outside the U.S. for American consumers. "By approving the fish to be raised in Canada and Panama instead of the U.S., the FDA is side-stepping a full assessment of the environmental risks," Hanson said. "The FDA is relying on an environmental assessment done by private consultants hired by the company. Under U.S. law, an environmental assessment requires a much less rigorous review than a full environment impact statement." The biggest environmental concern is that the genetically modified fish will escape and breed with wild salmon. FDA documents say escaped fish are highly unlikely to pose a significant threat to the environment, because up to 99 per cent of genetically raised salmon are sterile. 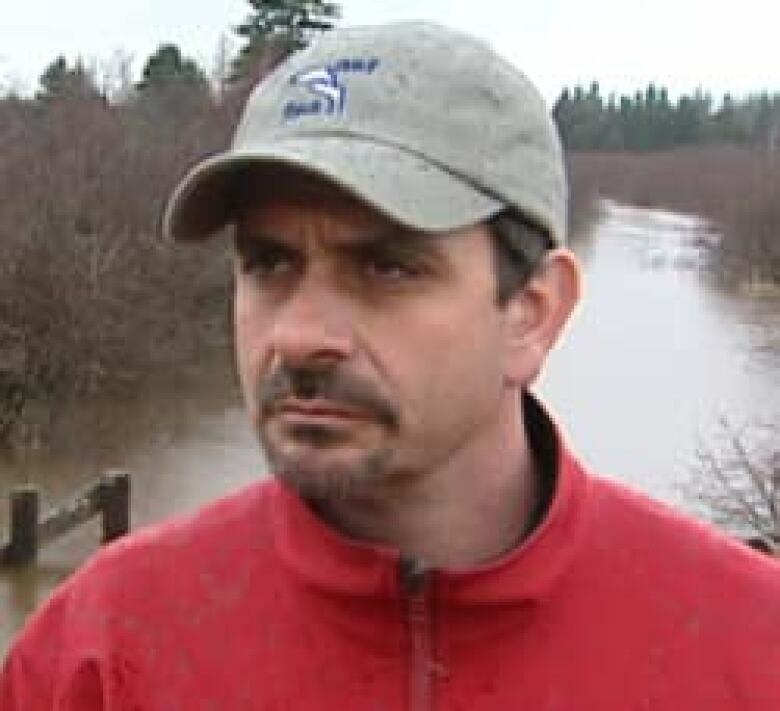 While the Atlantic Salmon Federation is not formally opposing Aqua Bounty's plan, the regional director of the group, Todd Dupuis, is concerned. "That leaves one per cent of fish that are still viable," said Dupuis, noting that Aqua Bounty is rearing hundreds of thousands of salmon. "So for every 100,000 fish there's going to be 1,000 fish in there that are viable. So if they do get out, there's concerns of course with them passing their genes on to wild fish." The FDA documents say Aqua Bounty has reduced the risk of escape by raising the fish in well-contained tanks on land at its two facilities — in Fortune, P.E.I., and in Panama — with several barriers of netting and screens. Dupuis said there have been escapes from land-based fish farms on P.E.I. before. The FDA documents say that if any fish escape, it's unlikely they would survive. The coalition opposed to selling the salmon in the U.S. hopes to stall the FDA approval process at public meetings set to start in 10 days.